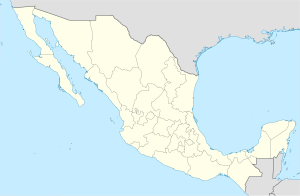 Jaltenco is the municipality located in Zumpango Region, a small municipality on this region, covers an area of 4.7 km², this territory is in the northeastern part of the state of Mexico in Mexico. The municipal seat is San Andrés Jaltenco, although both are commonly called only San Andrés. The municipality is located at a northern pass leading out of the Valley of Mexico to 60 kilometers north of Mexico City and about 200 km northeast of the state capital of Toluca. As of 2005, the municipality had a total population of 26,359. The location of the municipality is north of the Mexico City, and is located in the low extreme geographical coordinates of Greenwich, north latitude 19º45'23" minimum, 19º46'28" maximum, west longitude 99°05'30" minimum, 99°06'35" maximum. The town of San Andrés Jaltenco, a municipal seat, has governing jurisdiction over the following to Arboledas Jaltenco. The total municipality extends 4,7 km2 and borders with the municipalities of Zumpango and Nextlalpan. The area of this municipality is 15 km² (59.85 sq mi). ^ "Jaltenco". Enciclopedia de los Municipios de México. Instituto Nacional para el Federalismo y el Desarrollo Municipal. Archived from the original on March 4, 2007. Retrieved June 6, 2009. ^ Jaltenco municipality INEGI, 2009. This article about a location in the state of Mexico is a stub. You can help Wikipedia by expanding it. This page was last edited on 21 March 2017, at 04:40 (UTC).